I am happy to say, I have washed and lightly ironed all fabrics! I should move into cutting the squares today in between yard work! Hard to see but the white on white fabric is on the left. As I was looking around while cleaning today, it's time to get rid of some of my excess crafting items. So, what better way than to give them away!! These will be easy giveaways since there are not too many visitors to the site. Who knows, you could be the only one :-) So, if you are interested in some free books, please let me know by leaving a comment and tell me what your favorite quilting book is if you have one. If not, what's your favorite craft book. I have sooo many crafty things that I would much rather give to other crafters instead of having them end up in the land fill. The giveaways will touch all different types of crafts. Some piddly, some good ones, we'll see. 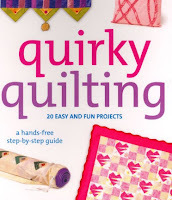 The following quilting books are from my own library and will be given away on Monday evening EST, June 15th. I will pull a random number and match to comments. I will not approve any postings that I feel are inappropriate. The books will be shipped at my expense by media mail. Sorry, but only US Address entries at this time. 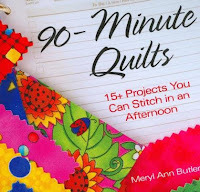 90 Minute Quilts by Meryl Ann Butler.